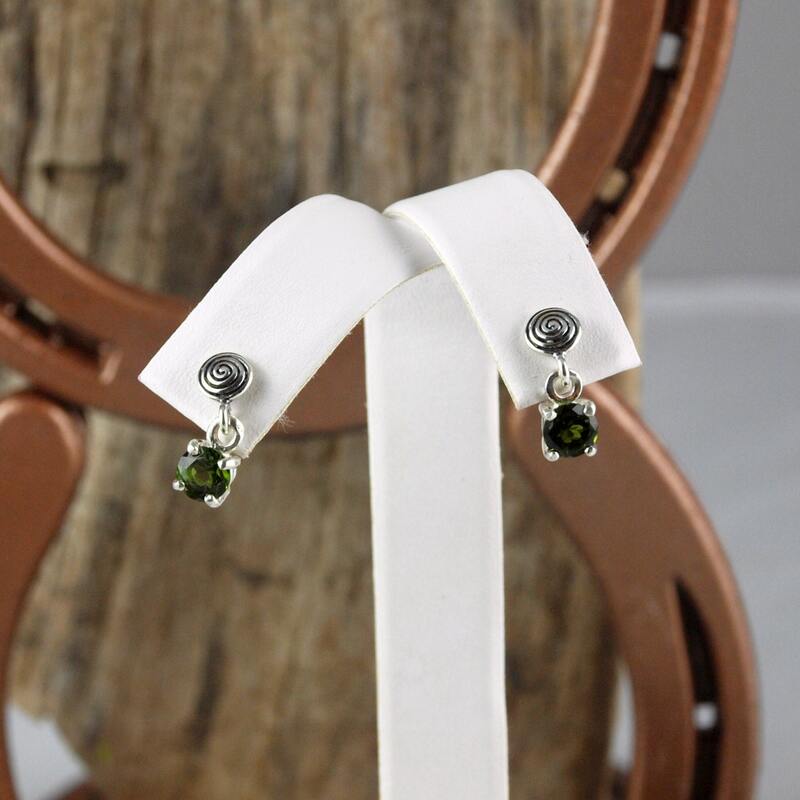 Silver Earrings -Dangle Earrings -Chrome Diopside -Drop Earrings: These exceptional sterling silver dangle earrings features two natural Chrome Diopside stones. 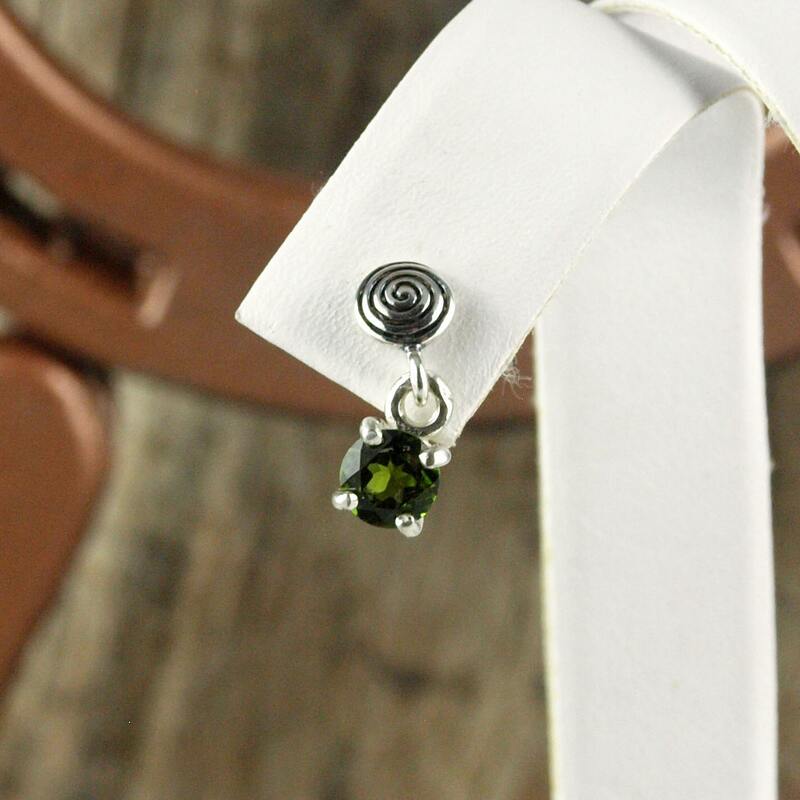 The Chrome Diopside stones are 5mm(13/16") in diameter and have a total weight of 1.05 cts.. The earrings have a total length of 14mm (1/2") from the top to the bottom of the dangle. 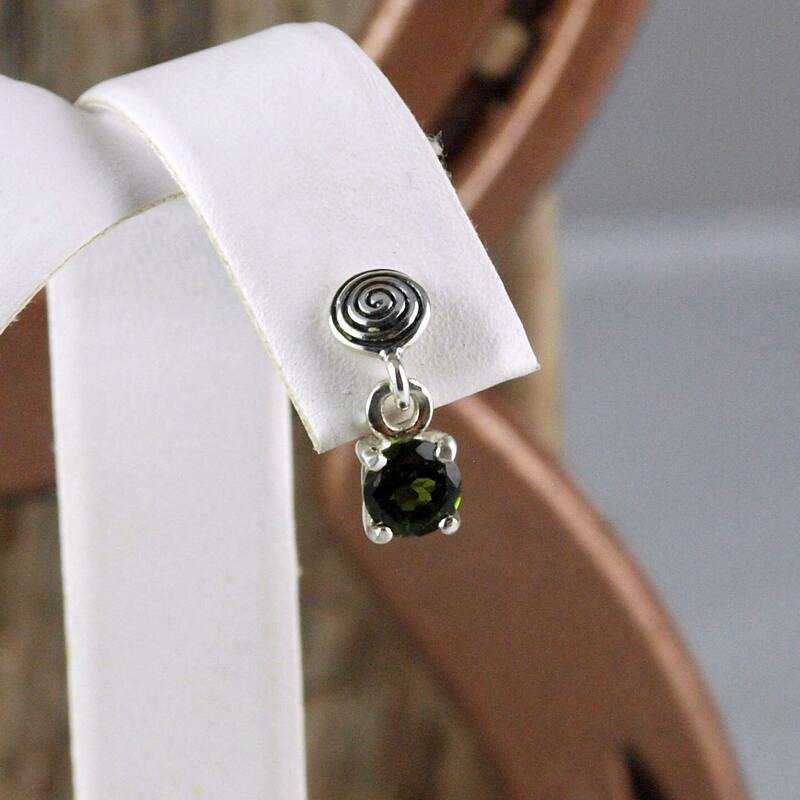 These Chrome Diopside stones have a fantastic dark green color that is hard to find in nature! The silver swirls on the posts add a whimsical touch to these drop earrings and reallt off-set the subtle green color of the gemstone. 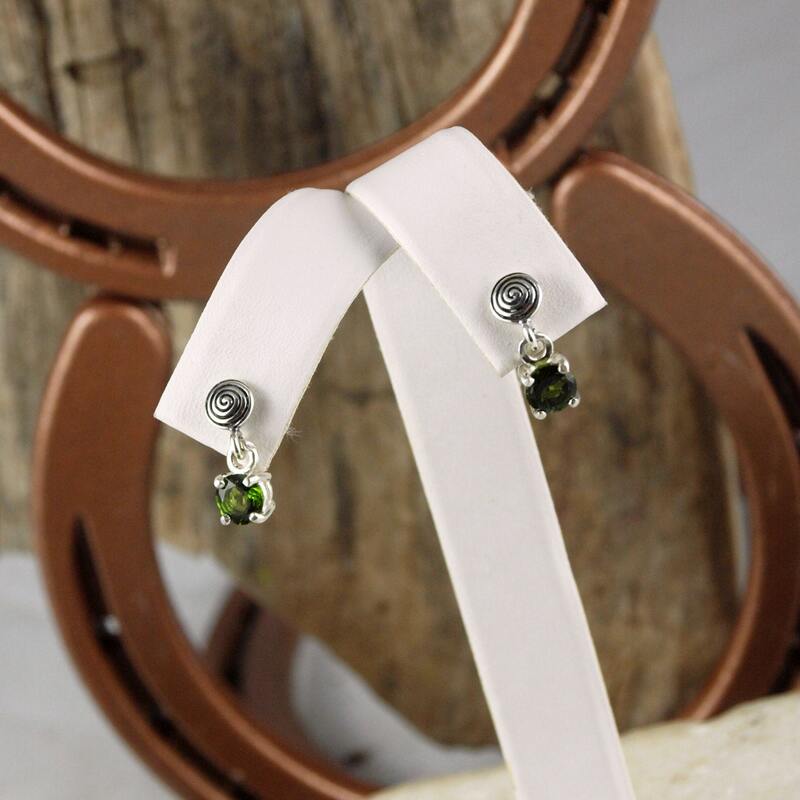 These earrings would really make a great present when paired with one of our pendants so don't forget to check them out! 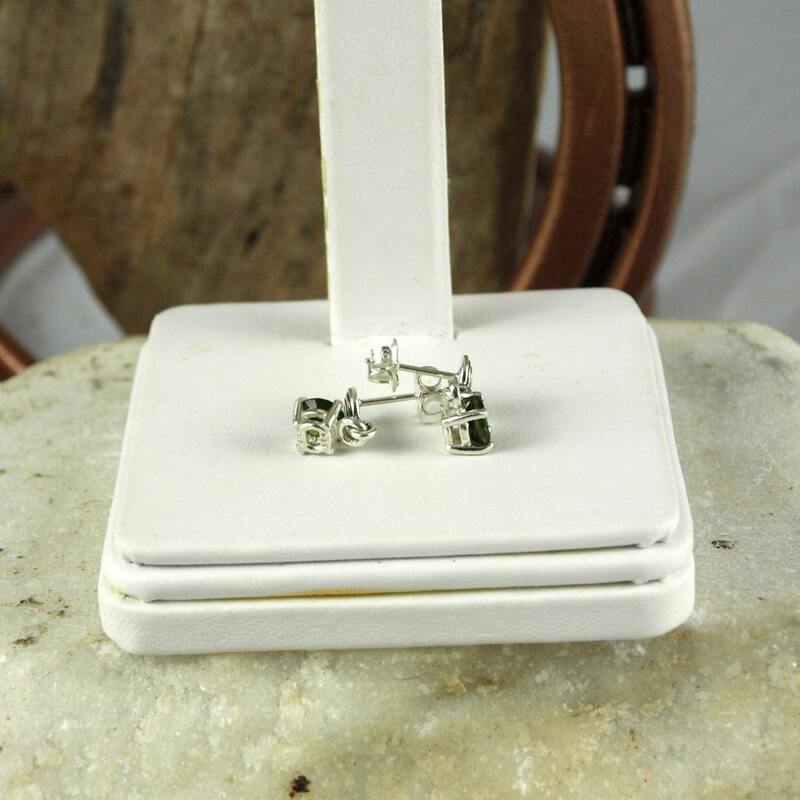 As with every pair of earrings we sell, we will ship your purchase(s) in a beautiful gift box for no extra charge!